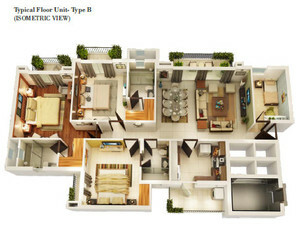 ATS Group Presented Best, 3 Bhk and 4 Bhk Apartments in Noida Extension ( Greater Noida) Sector -1, This project is located at prime location for Noida extension at best price list and comfortable payment plan. ATS Rhapsody Apartments is Located 0 KM from Noida. Start From Area: 1800 Sq. Ft.